Australians sure do like to ask a lot of questions. Of all the countries where the US online survey tool, SurveyMonkey, is available, it turns out Australia has the highest per capita use. 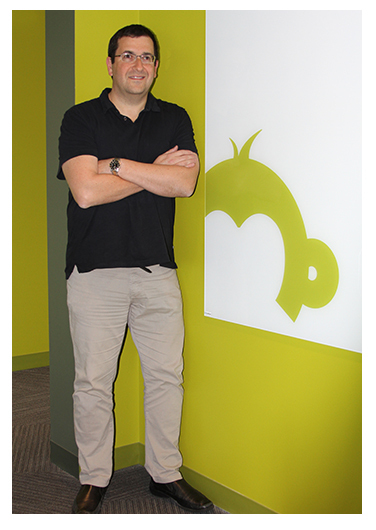 According to SurveyMonkey’s chief executive, David Goldberg, Australia’s appetite for answers makes us his third largest overall market, ahead of Canada. That huge interest in asking questions has propelled the company to open its first Australian office in Sydney. Goldberg says the company now collects 75 million completed survey responses each month globally. While the core use case remains customer and employee surveys, users have begun taking the workflow and analytics capabilities of SurveyMonkey and applying it to ever more obscure uses. While traditional analytics tools can determine ‘what’ is happening, Goldberg claims SurveyMonkey can provide the answer to the question ‘why’. As an example, he says SurveyMonkey was used by Google to determine why a higher percentage of women were leaving the organisation. SurveyMonkey continues to add functionality, including a service that helps provide an audience for surveys, which will launch in Australia in July, as well as more tools for integrating into other applications. Goldberg says the structure of surveys is also becoming more complex, with the addition of advanced skip logic and AB randomisation. SurveyMonkey has launched an enterprise edition where surveys and results can be more readily shared within an organisation. The company is also working to strengthen its tools to help novice users get the highest quality response from their surveys, including formulating a bank of 2000 questions worded to derive the best possible response, and through helping users understand statistical significance. “We’re trying to enable anybody to collect great data to make a decision, so what we have to do is help people through that process,” Goldberg says.